Family is everything to Linda! She is married to her wonderful husband Randy. They have a daughter and two sons as well as 5 beautiful grandchildren (2 girls and 3 boys), ranging in age from 9 months to 21 years. They also have two beautiful great granddaughters! Every week (as they have done for the past 17 years) Randy and Linda cook and they all come over to Grandma’s house for a meal. “We all talk about what is going on in our lives. From softball games on Fridays, to band concerts at school and anything in between.” Linda has been in the printing industry for the past 31 years and currently works for a company that does direct mail in Milton, WI. She also loves to cross stitch, cook, get together with friends to make cards, sit around campfires, and go up north. Linda’s favorite thing at St. Francis is Hospitality Sundays. “It is a wonderful way to get to meet other people of our parish, to actually get to know who you sit with or near in church”. She has seen lots of physical changes to the buildings over the years including the addition of the Day Chapel and Parish Center. She loves the recent church renovation. 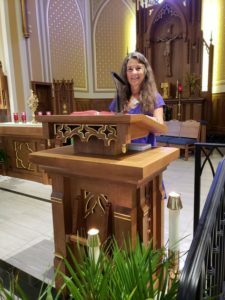 “I cannot get over how beautiful it is!” She has also been involved in many bi-lingual liturgies and has witnessed the growth of inclusion of our Hispanic members and is very proud of that as well. What advice would she give to others who are considering sharing their time and talent? “It is a great way to meet people, develop friendships, and have fun. It opens all kinds of doors.” Linda, you are an inspiration to all and we are blessed to have you helping to “open doors” for others as well! Thank you for your many years of service! Natalie Dunn started her “volunteer career” at SFDS in 1986 when she converted to Catholicism and was confirmed. The pastor at that time was Father Yaniak. “I was lucky to receive one on one instruction from Brother De Sales,” she explained. This started her on the path to strive to learn more about the Catholic faith…which is still her passion today! A teacher by trade, Natalie taught for over 20 years, 16 of those as a teacher at the Elkhorn Middle School. She met her husband Terry in college in Iowa and they have 3 children and 2 grandchildren. Natalie’s talents and contributions to our parish run deep and span decades! In the late 1980’s, when Father O’Brien was our pastor, Natalie played the piano (and a little organ!) at a Sunday morning Mass. In the 1990’s, during Fr. Braun’s term, she taught High School CCD classes for several years. She served on the School Advisory Committee and worked with a group that met once a month to write the petitions for Mass. Around the year 2000, when Fr. Terry was our pastor, she became a Eucharistic Minister and trained to be a Lector. Natalie continues to carry out these ministries today. Natalie currently volunteers as a member of the Arimatheans, the group from our parish that attends our Parish funerals to support grieving families. “Rita Leahy was such an inspiration to me. I joined the Arimatheans to honor her memory.”Natalie has also led some of our book studies as well as some of the Thursday morning communion services. 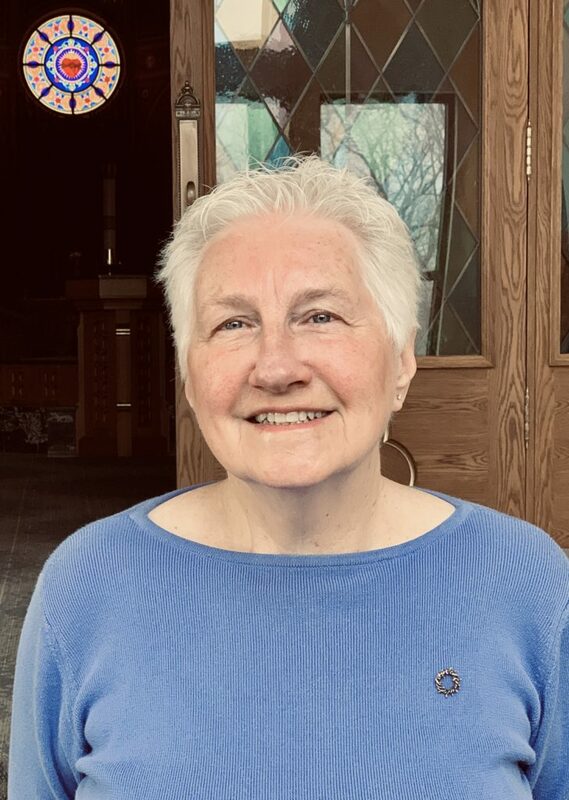 She is a member of Cursillio, an international group that offers retreats, support for one another, and evangelization and prayer, bringing others to Christ. In 2017, Natalie went on the group pilgrimage to Rome with Bishop Jim and Archbishop Listecki. What’s next? Natalie will be starting her second year of a two year program in the fall to earn her ministry formation certificate.“By taking these classes, it’s my hope to become a better lector, a better teacher, and a better leader.” She continues to learn so that she can teach and help people be closer to God and their faith. Thank you, Natalie, you are an inspiration! Nino Cruz was in the 5th grade at Talcott school on the east side of Chicago. A tall girl from Guadalajara, Mexico named Sandra joined his class. She didn’t speak English (and he didn’t speak Spanish!) but they soon became best friends. Sandra’s father insisted that she be immersed in the “all English” classes and she quickly learned the language. When they were high school age, Sandra’s family went back to Mexico and Nino and Sandra lost touch for a while. 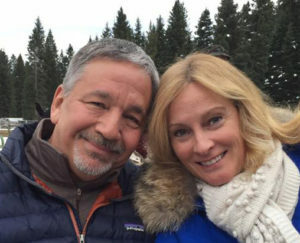 They met up again when they were in their 20’s, realized that they were indeed soulmates, and have now been married for 30 years! Nino majored in commercial art at Triton College and started a sign business. Sandra helped him in the business and they both delighted in raising their 3 children. 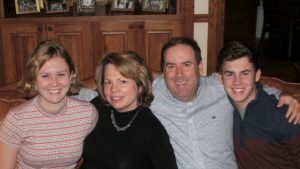 In 2004 they moved to Lake Geneva and found a home they loved. A health crisis brought Sandra’s mom to live with them while Sandra was recovering, and daily walks became part of their routine. One Thursday morning they were walking by St. Francis de Sales church and decided to go inside. A rosary group was praying together and they joined in. After that day, Sandra and Nino then became enthusiastic parishioners and are now amazing volunteers. Sanda initially joined the “Mothers of Ministry Sharing” group and made some wonderful friends. She quickly became aware that there was a large Hispanic group at St. Francis but that there was a big disconnect between the English and Spanish groups. She joined the Spanish Emmaus group and was instrumental in starting the English Emmaus group. She has been the driving force of bringing our parish community together. She has done countless translations, helped start tamale sale fundraisers, worked on Fall Fest, recruited families and students for school choice, and encouraged members of the Hispanic community to have a voice at meetings and committees. She has helped the Hispanic group to create awareness of their beautiful religious traditions. She works weekly with the High School youth group and has helped them to attend Steubenville over the past several years. She is currently a member of Pastoral Council and works full time as an ESL aide at Eastview School. What drives her? “I love working with kids. I give back because the Lord has given me so much”. Nino is a talented artist has enjoyed volunteering at St. Francis by donating his skills with signage, marketing and motivational teen talks, and is a member of the Knights of Columbus. He also works weekly with our youth group and incorporates comedy and magic to reinforce Jesus’s teachings. He says, “Tell me and I forget, show me and I remember, involve me and I understand”. A professional magician, Nino started learning magic as a child and at age 14 was featured on the TV show “Kidding Around”. He now does weekly shows at the Grand Geneva as well as corporate events. Nino says, “If your faith is strong, the true magic is signs from God”. 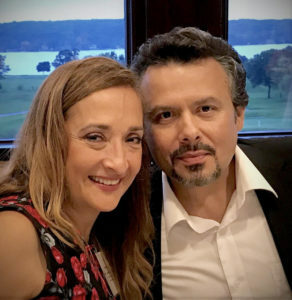 Both Nino and Sandra truly enjoy their ministries and the people they work with. Their strong bond with each other carries over into their love that they have for God. Thank you, Nino and Sandra, for all that you do at St. Francis de Sales parish and our community! Meet the new chairperson of our SFDS Stewardship Committee! You’ve seen her but even more likely you’ve heard her. You will recognize Laura’s face but also her beautiful singing voice which is frequently featured at 9 a.m. Mass. Laura joined the contemporary choir about 15 years ago and has been a driving force in the SFDS music ministry from the beginning. She has been involved in music planning, playing the bass guitar, arranging, and inthe past has worked with some of our teens by helping to organize a youth music group called “Festival of Praise”. She has volunteered in several other capacities at St. Francis as well. Most recently she was on the Project 2017 committee and lent her design talents choosing colors and materials. Several years ago she started the M.O.M.S. group (Ministry of Mother’s sharing). She does graphic design and has helped us by creating flyers and posters for different SFDS events. Laura and her husband Fran have 5 daughters! 2 attended our parish school and during that time Laura headed up the visual arts program. Laura graduated from the University of Iowa with a degree in business and psychology. She loves the marketing segment of business and is a talented artist and musician. She has taught voice lessons and has had her own band. She loves the outdoors and outdoor sports like skiing and hiking. We are very excited that Laura is once again sharing her leadership skills with us by taking over the Stewardship Committee. 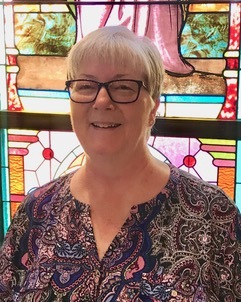 She is a wonderful example of a person who has shared her time and talents with our parish and will continue to help to be an inspiration to others. Thank you Laura for stepping up and taking this on! Rob Bartal has been a tremendous asset to both our school and church by helping us keep current with technology. As our go-to IT guy, he has not only donated his services but has saved the day many times! He and his family moved to Williams Bay from Glenview in 2003. They decided to send their kids, Bridget and Graham, to SFDS School because Rob’s wife had such a good experience being educated in Catholic schools. They wanted the same benefits for their children and had heard great things about our school. Rob jumped right in as a volunteer by helping with computer-related services at the parish at the end of 2003…and is still going strong! Rob graduated with a degree in economics from the University of Illinois, but continued on to be certified as a computer programmer at DePaul University. He worked for several years developing lending and accounting software. His wife, Susan Hagnell, is an OB/GYN physician at Aurora. After their first child was born, they decided that it would be best for their family if Rob primarily stayed home with the kids. For ten years while their children were students at SFDS Rob worked part-time as the IT coordinator for the school. After a great SFDS grade school experience, Bridget attended Badger High and was confirmed at St. Francis. She is now a sophomore at Lawrence University. Graham is currently a junior at Badger High School. He has been a wonderful volunteer with our parish religious education mission trips to Harlan, KY and St. Louis, MO. He will be confirmed this year. While volunteering at the church, a couple of bigger projects Rob has been involved with are creating the church’s first website, running network cable throughout the parish center, setting up new computers for the staff, setting up multi-user QuickBooks, and installing all of the LCD projectors and Mimio smart boards in the school. When necessary, he helps the parish staff troubleshoot glitches with their computers, software and network. Currently Rob is working on the installation of the new door access system in the parish center. Besides volunteering at St. Francis Parish, Rob does IT work as an independent consultant for a businesses and families in the area. What’s the best part about being a volunteer at St. Francis de Sales parish and school? “In fourteen years I’ve never had a bad experience or felt that my help was unappreciated. I volunteer at SFDS because I enjoy IT work and it gives me a sense of accomplishment. It feels good to give back to a parish that has given so much to my family.” Thank you Rob for your expertise and patience! We so appreciate you!